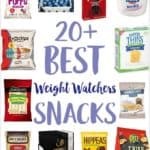 This list of over 25 Weight Watchers friendly snacks includes items that are widely available throughout the US and Canada and includes the Smart Point values and serving sizes for each. 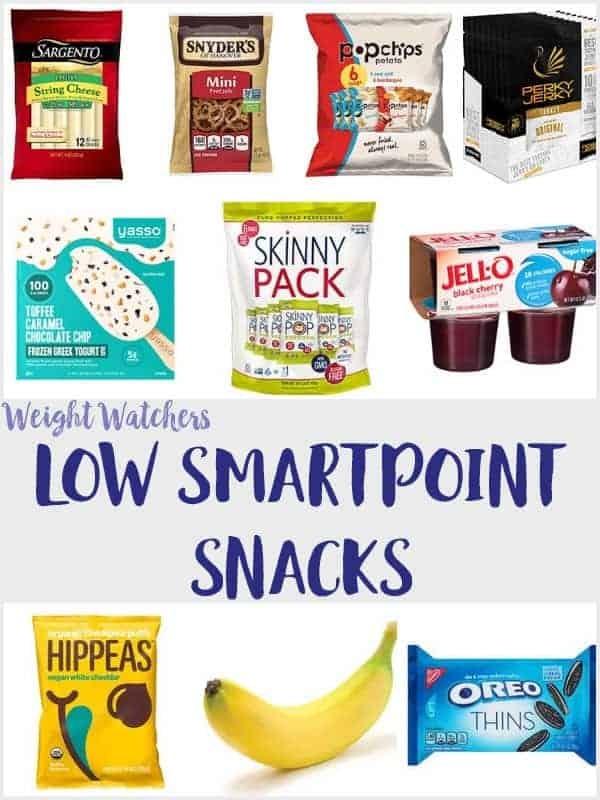 Each snack is under 5 Smart Points. All SmartPoints were worked out using an official WW calculator and are correct at the time of writing. 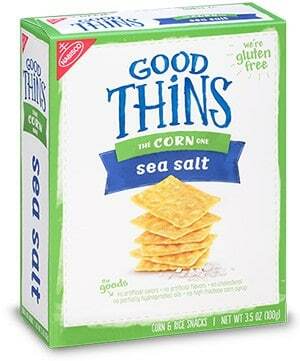 These Sea Salt Corn Good Thins are a popular choice for people following the Weight Watchers Freestyle plan. They are 3 Smart Point for 41 pieces and are available to purchase from most large stores. You can also purchase them in bulk in packs of 12 from Amazon here! The Rice Good Thins are 4 Smart Points for 26 pieces. 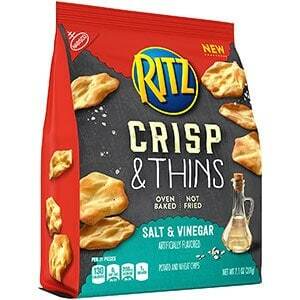 Ritz Crisp & Thins are available in a number of flavours including bacon, sea salt, salt & vinegar, cream cheese & onion, sweet chili & sour cream and smoked chipotle. 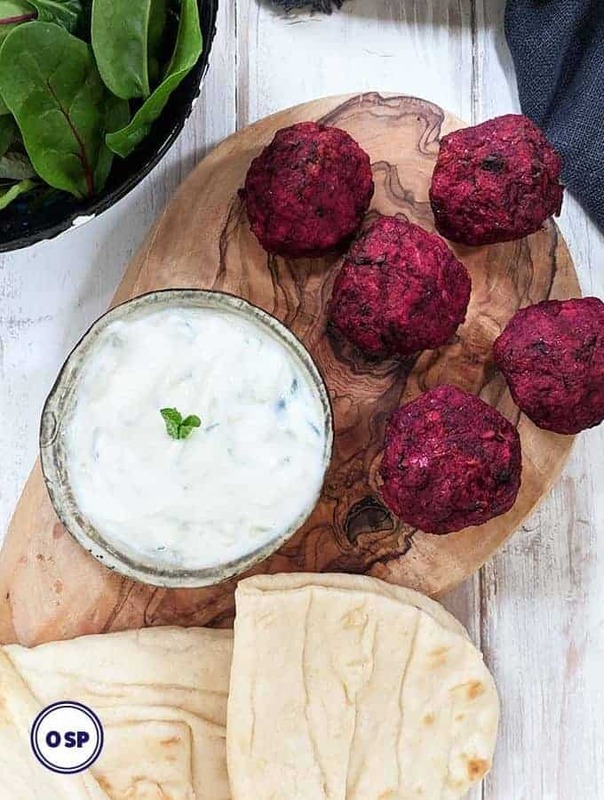 You can eat 21 pieces of these oven baked snacks for 4 Smart Points. They are available to buy many large stores or in 6 packs from Amazon. 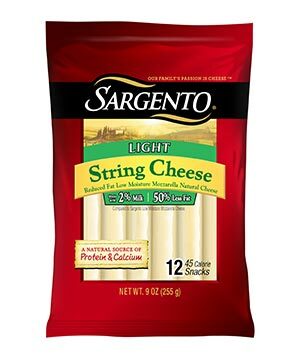 These Sargento Light String Cheese are just 1 Smart Point per string on Weight Watchers Freestyle plan. They can be purchased in the chiller department of most large supermarkets. 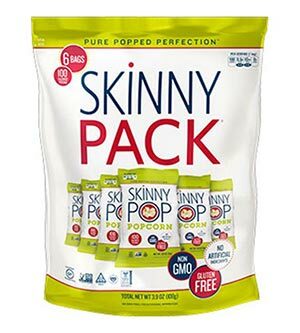 This original Skinny Pop popcorn comes in 0.65 bags. It is gluten free and uses no artificial ingredients. 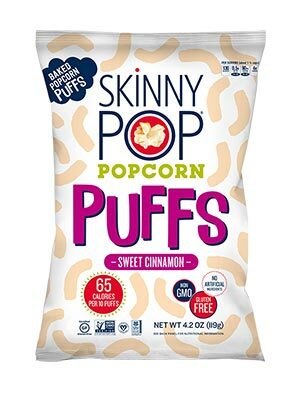 Skinny Pop popcorn is available to buy from most large supermarkets as well as in packs of 30 from Amazon here. These Skinny Pop Popcorn Puffs (Sweet Cinnamon flavour) are gluten free and dairy free. 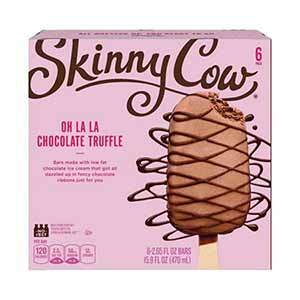 They are available to buy from most large supermarkets and also online direct from SkinnyPop. 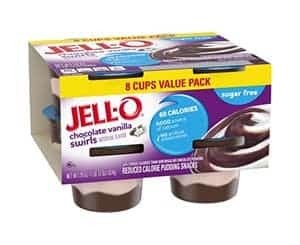 These ready to eat sugar free chocolate & vanilla pudding cups are just 2 Smart Points per pot on Weight Watchers Freestyle plan. They are available to purchase from most large supermarkets. They also come in sugar free chocolate flavour, sugar free vanilla flavour and sugar free dulche de leche flavour, all at 2 Smart Points per pot. 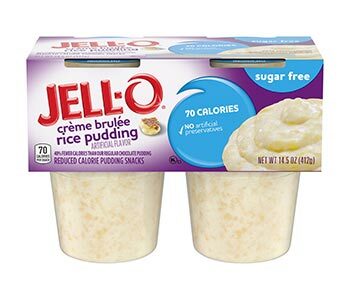 These sugar free Creme Brulee Rice Puddings are available to buy at most large supermarkets. 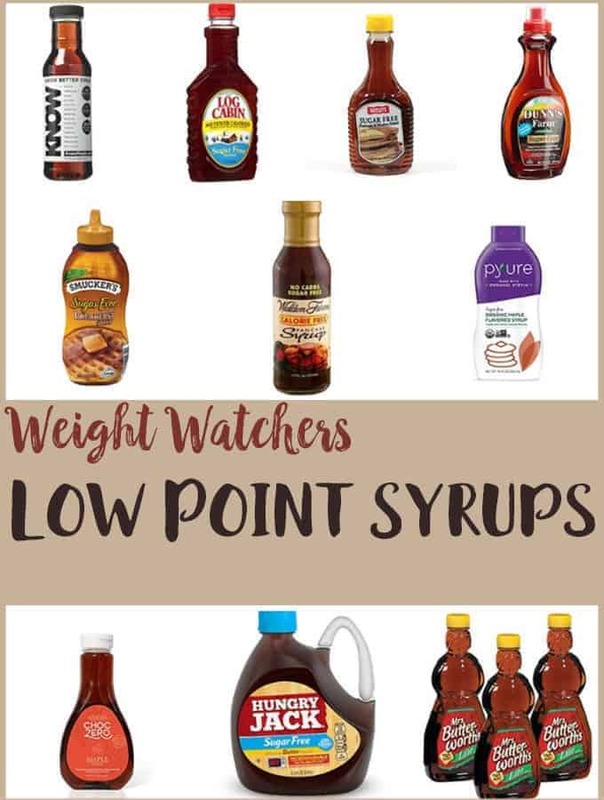 They are just 2 Smart Points per portion on Weight Watchers Freestyle plan. 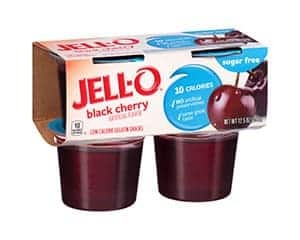 These Sugar Free Jell-o pots are 0 Smart Points per pot and are available in a number of different flavours including black cherry, lemon & lime and strawberry. They are available to buy in most large supermarkets. 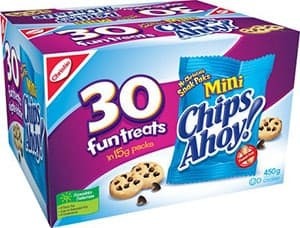 If you can find them, these 15g fun packs of mini Chips Ahoy are a perfect low Smart Point treat when following the Weight Watchers Freestyle plan. Do beware though that the snack packs of these chocolate chips cookies are 28g so would work out at 6 Smart Points per bag! A number of the Laughing Cow cheese wedges are 1 Smart Point per triangle. The French Onion, Creamy Swiss Garlic & Herb and Creamy Spicy Pepper Jack are all 1 Smart Point per wedge. 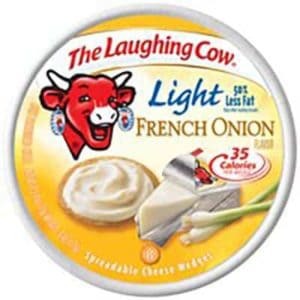 The Laughing Cow Creamy Swiss original wedges are 2 Smart Points each. They are available to buy in most large supermarkets. Mini Babybel Light & Mini Babybel Mozzarella Style are both 1 Smart Point per cheese. The other varieties of Babybel are more Smart Points. They are available to purchase from most large supermarkets. 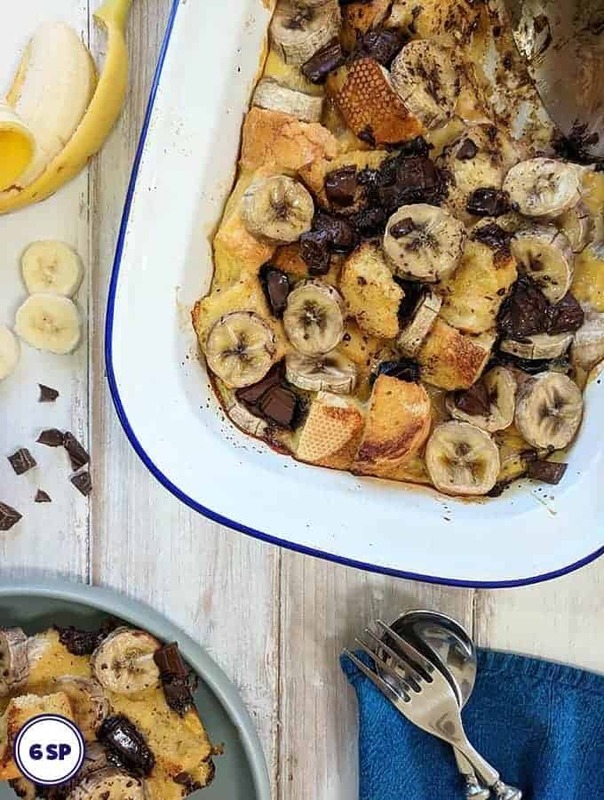 Bananas are zero Smart Points on Weight Watchers Freestyle plan. They are widely available and make a great, filling snack. These chocolate cream covered biscuit sticks are 2 Smart Points for 4 Sticks. They are available from most large supermarkets or can be brought in packs of ten from Amazon. 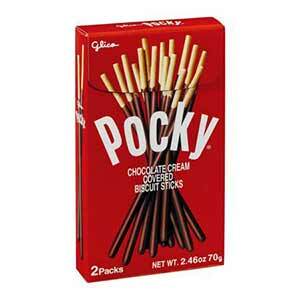 Pocky also come in other flavours such as cookies & cream, strawberry & chocolate banana but these may vary in their Smart Points value, so check the nutritional information. 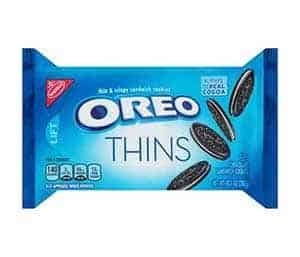 If you love Oreos then you will be pleased that for 3 Smart Points you are able to eat 2 of these Oreo thins. They are available from most large supermarkets or in bulk (35 packets) from Amazon. 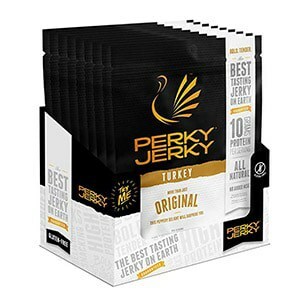 This Turkey Perky Jerky is a great Low Smart Point snack. Turkey is zero Smart Points on Weight Watchers Freestyle plan, however this turkey jerky includes flavourings and sugar. Working from the nutritional information 1/2 a bag works out at 2 Smart Points. However, when WW officially work out the Smart Points for this snack it may well be worked out at less than that. It is available to buy from Amazon in packs of 12 or from PerkyJerky.com. 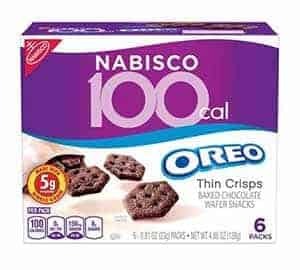 These baked chocolate wafer snacks are available to buy in most large supermarkets including Walmart & Target. They are also available to buy online from Amazon. I love these Veggie Straws which are 4 Smart Points per 1 oz pack. 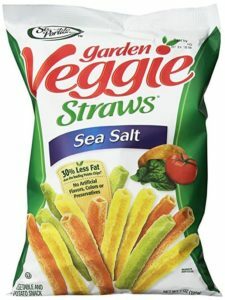 Larger packets of Veggie Straws can be purchased from most large supermarkets or you can buy 24 packets of 1oz bags from Amazon here. 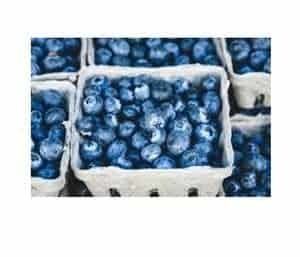 Blueberries are zero Smart Points and make a tasty and healthy Weight Watchers snack. Eat them fresh or frozen but just remember to count their points if you use them in smoothies! 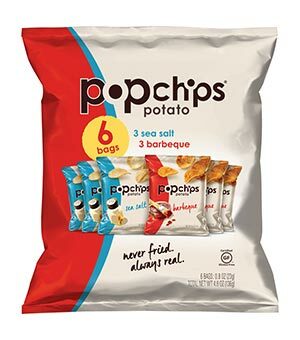 Popchips are 3 Smart Points per 23g bag and are available in sea salt, barbecue and sour cream & onion flavours. 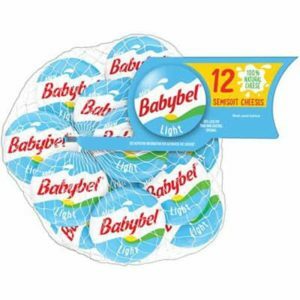 They are available to buy in most large supermarkets or in bulk (24 packs) from Amazon. 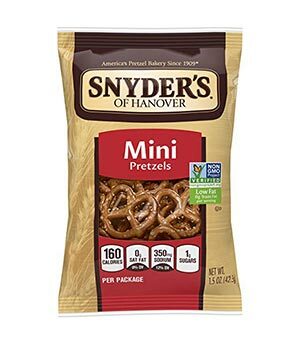 These mini pretzels come in 1.5 oz packs and are 5 Smart Points per packet on Weight Watchers Freestyle plan. They are available to buy from many larger supermarkets and also in bulk (48 packets) from Amazon. 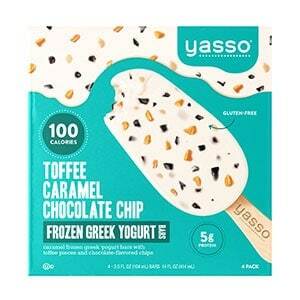 These chocolate truffle flavoured ice cream bars are delicious and are available to buy from most large supermarkets including Walmart and Target. 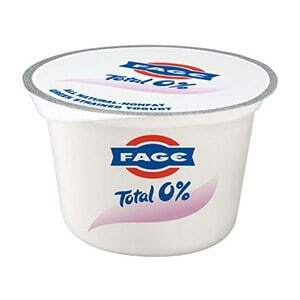 Fat free Greek yogurt is zero Smart Points on Weight Watchers freestyle plan. If you are wanting to make it a little more exciting, take a look at this zero Smart Point Fluff recipe or this zero Smart Point Marshmallow Fluff recipe. People following the Weight Watchers plan are raving about Built Bars on the WW social media forums. They come in a variety of different flavours such as double chocolate mousse, mint chocolate creme, orange chocolate creme, coconut chocolate and salted caramel chocolate. They are available to purchase online from builtbar.com or through Amazon here. These Toffee Caramel and Chocolate Chip Frozen Greek Yogurt bars are 5 Smart Points per bar. They are available to purchase from Target stores, Whole Food Markets and many other large stores. 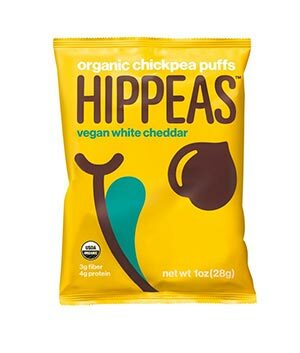 One of my new favourite snacks, these Hippeas are available in a number of different flavours including vegan white cheddar, bohemian barbecue flavour & sriracha sunshine all of which are 4 Smart Points per 1oz bag. 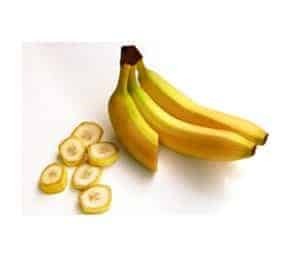 They are available to buy from most large supermarkets, including Whole Food Markets and Target. They are also available to buy from Amazon. 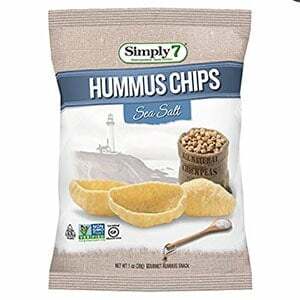 These hummus chips are gluten free, include no artificial flavours or colours and have 50% less fat than potato chips. They are 4 Smart Points per 1 oz bag and are available to buy from most large supermarkets. You are also able to purchase them in bulk (24 packets) from Amazon. 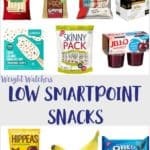 If you found this list of the Best Low Point Snacks helpful, then you may also like this list of Low Point Cookies or this list of Low Point Chocolate. This list of Low Point Ice Creams is also very popular!